This is a great pair of hand crafted genuine white diamond stud earrings designed for babies or small children. The earrings are crafted using high quality, fiery white 2.1mm full round brilliant-cut diamonds. The expertly set stones have excellent color, clarity, and deliver a lot of sparkle. 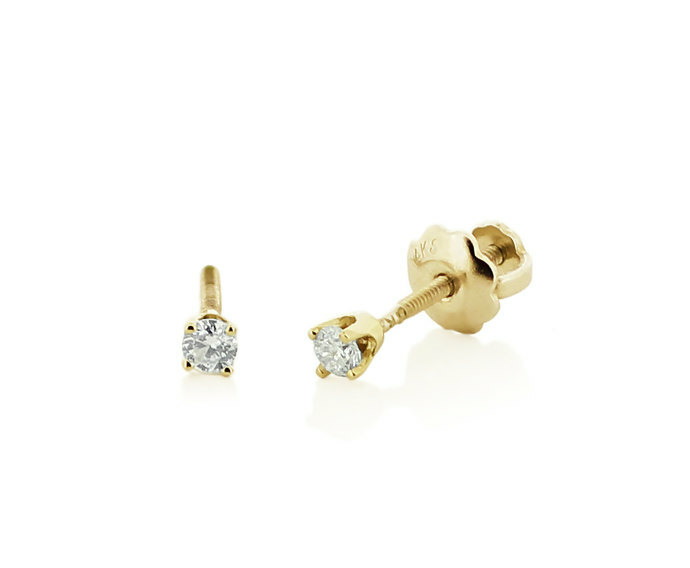 The settings are appropriately sized and are 100% genuine 14K yellow gold, designed to fit comfortably in a baby's ear. 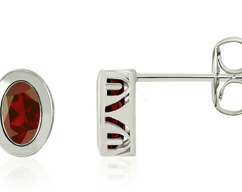 The earring use screw backs and are double threaded to help protect against accidental loosening. These earrings can be supplied with adult length settings for those that prefer smaller stud earrings or wish to wear in second piercings. 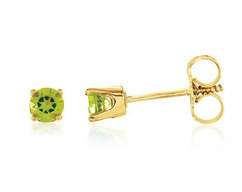 Earrings make the perfect gift idea for baby's special occasions. A FREE Gift Box is included with your purchase. We offer a full selection of baby stud earrings in diamonds and gemstones covering the birthstone for every calendar month. 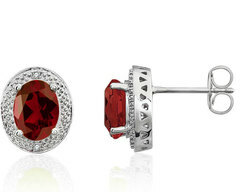 Earrings are available in both 14K yellow and 14K white gold. Total diamond carat weight is .07ct. Total 14K gold weight is .40 grams.